If you are looking for information on the Sunshine Pack & Ship franchise business opportunity, Sunshine Pack and Ship franchises or Sunshine Packing and Shipping franchising, then you have come to the right place. Welcome to Sunshine Pack & Ship®! 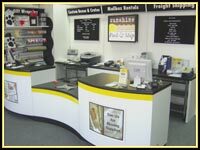 We are more than just another mail and parcel store. Send any-size anywhere with Sunshine. Sunshine Pack & Ship® centers provides full-service packing and shipping, and eBay auction listing services for residential, business and commercial customers. Rely on the # 1 Packing and Shipping Professionals to provide first-class service and cost-effective solutions for all your needs. 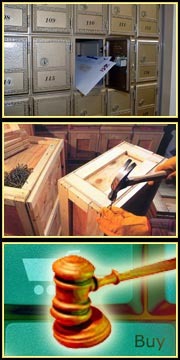 And now, you can drop-off your items to be sold on eBay, the world's largest online marketplace. Discover the Advantage of Owning a Franchise with Sunshine! Since 1994, Sunshine Pack & Ship® has made a name for itself by providing professional packing and shipping services above and beyond those offered by the competition. From small, everyday items, to large industrial equipment, Sunshine Pack & Ship® helps customers make the right choice for all their packing and shipping needs. Our system merges three proven industries - traditional mail and parcel handling, large freight crating and shipping, and eBay/Internet auction services. Sunshine Pack & Ship® has developed a comprehensive list of products and services that, years of experience and research within the packing and shipping industry, constitute the core of our business.